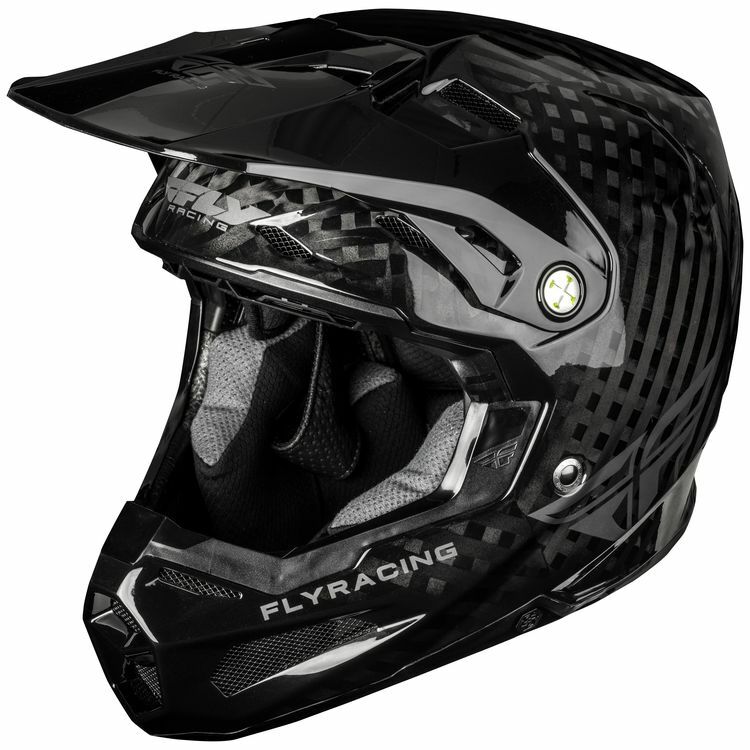 An entirely new perspective on safety - that's what you can expect from the Fly Racing Formula Helmet. Introducing a multi-layered and adaptive impact system, the Formula Helmet utilizes cutting edge technologies focused on protection beyond the the risk of skull fractures and deep into the realm of dangerous concussions. Fly's Impact Energy Cells, enhanced with RHEON, make up the Formula's first line of defense. With the help of RHEON, an innovative viscoelastic material, Fly's Impact Energy Cells enhance energy dissipation on impact through seven strategically placed energy cells in the helmet's interior. For the Formula Helmet's second act in protection, Fly has paired their patented Conehead EPS technology with expanded volume EPS in six highly critical zones, each specifically designed to respond accordingly to both low and high speed impacts. As an added bonus, the Conehead EPS design renders a softer and lighter EPS which increases the helmets comfort by reducing its overall weight and more efficiently absorbing impact forces over a wider array of impact situations. Finally, cloaked in 12K carbon fiber, the Formula Helmet's shell is lightweight and incredibly robust with a flexible nylon peak that resists breaking and features a quick release mounting system. Provides a softer liner whereby the cones help manage or absorb an impact force more efficiently.